I went to my back door to have a look at the weather. 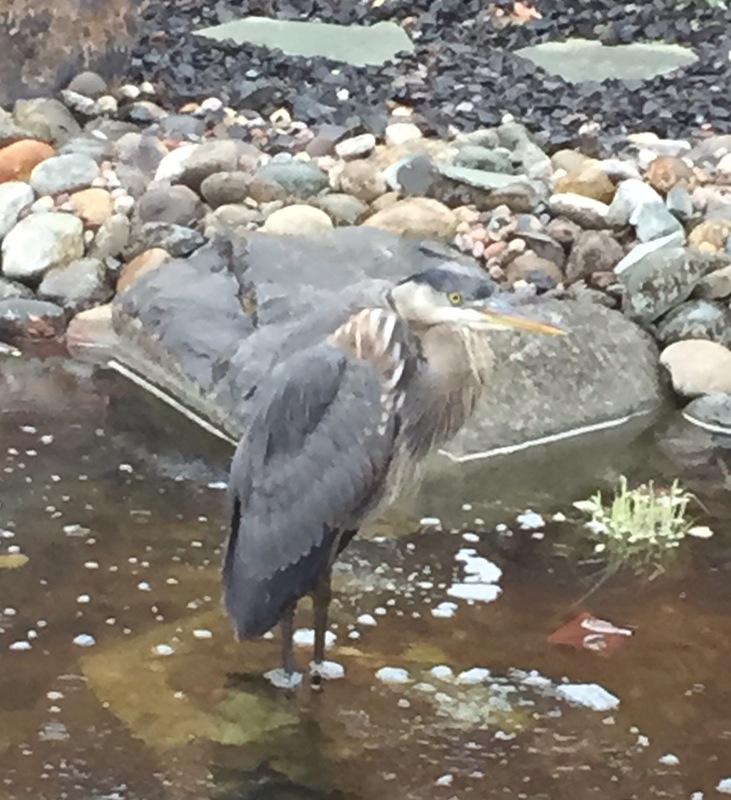 To my surprise in the middle of my pond on a rock (under which I hope my fish are hiding) was a great blue heron. I may no longer have fish. I don’t know. The heron looked at me placidly for a moment when I opened the door as if to let me know that flying away languidly was his idea completely and I should run a better restaurant. I should have gotten my real camera – this is a phone photo. I regret that now, but honestly don’t seek a new opportunity. I need to figure out how to make that rock impossible for the heron to stand upon. I did not know that heron would flock. Normally I only see them individually on the river. Recently I walked by a wetlands preserve that I usually drive past. I don’t generally walk there because I like to have routes that are a loop, and to go to this place I have to walk there and then backtrack. Another morning walk by the Columbia River and another heron sighting. 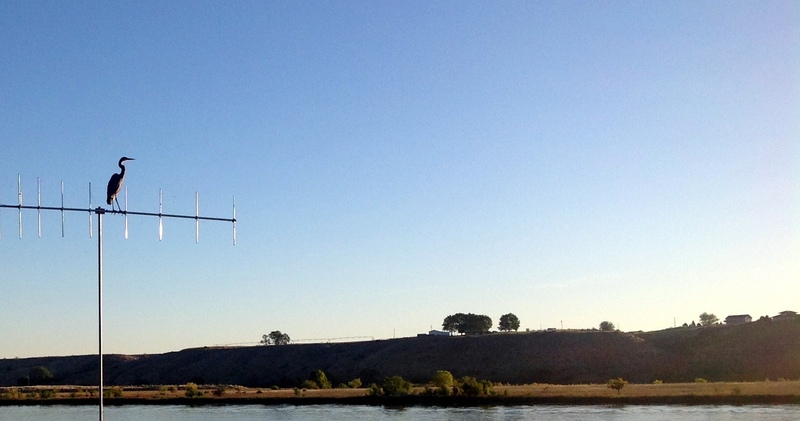 This time he was stretching his wings while fishing from a channel marker. And yes, I know. I really need to go out with a real camera and stop relying on my phone only while I’m out by the Columbia.